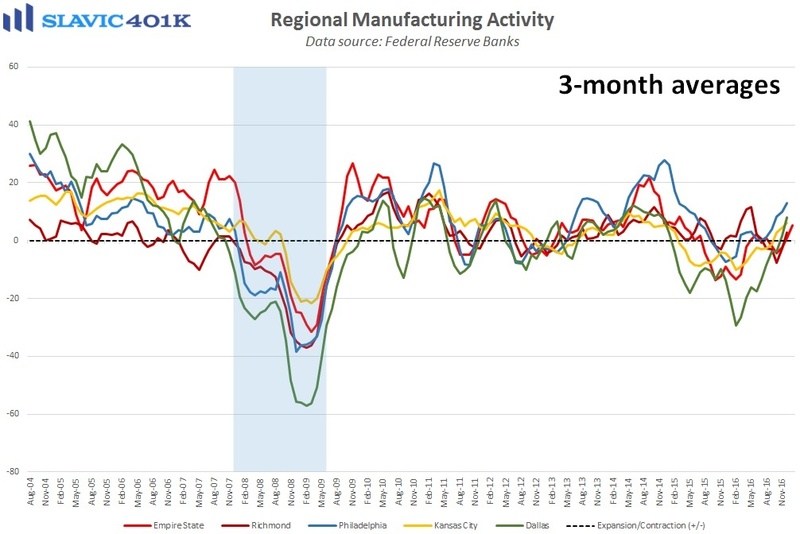 The only important economic data released this morning was a report from the Federal Reserve Bank of New York, which showed that manufacturing activity in the Northeast region of the country moderated this month. 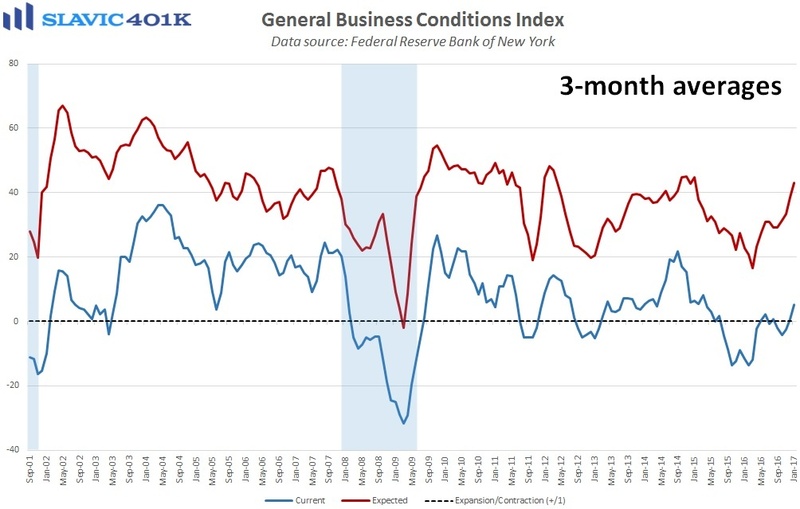 Specifically, the general business conditions index slid from December’s downward-revised +7.6 print to +6.5 in January, worse than expected but still the 3rd-highest reading in the past year. Under the hood, new orders and shipments expanded at slower rates this month, while measures of inventories, total employment, and hours worked all improved. Prices paid surged in January, along with a similar rise in prices received, suggesting that businesses are quick to pass on any uptick in inflation to customers. An earlier New York Fed survey found that managers anticipate higher benefit costs and wage increases to be big drivers of the upward pressure on input prices in 2017. Elsewhere, surveyed managers’ expectations for employment, capital expenditures, and technology investment six months from now improved in January. However, the gains in these forward-looking components this month were smaller than in November and December, implying that the post-election spike in business enthusiasm has started to ease. Moreover, many managers are likely now waiting to see if the new administration can deliver during the “first 100 days” in the areas of regulation, trade, and fiscal stimulus.